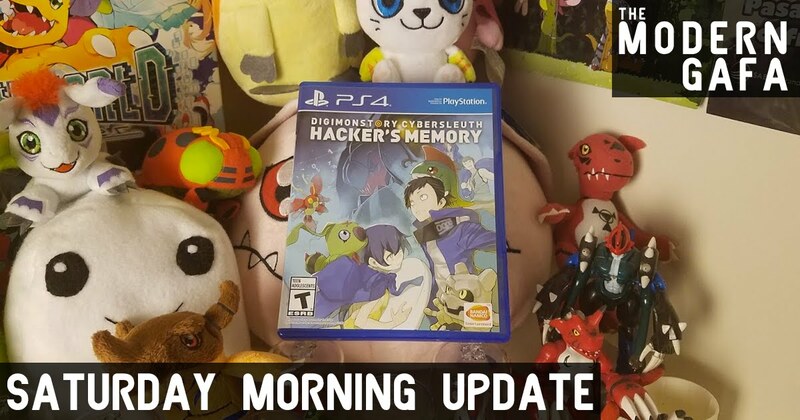 This week we got the release of Digimon Story: Cyber Sleuth - Hacker's Memory, the latest Digimon video game! I've played it basically nonstop since it arrived in the mail. I'll probably have a full review up on Tuesday, once I've played more. I could write a whole thing about it now, but I have a feeling the plot is going to shift halfway through so I don't want to jump the gun on positivity. But if you're on the fence about it just being Cyber Sleuth with a paint job let me say it is Cyber Sleuth with an amazing, all-new paint job. If you loved the last game I promise the additions here more than make up for it being more or less the same game.